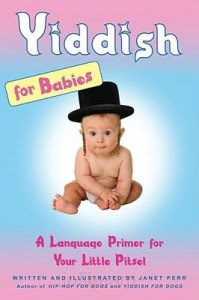 Yiddish for Babies is the perfect shower gift for your expectant semitic friends. Seriously. Who doesn't like cute kiddos and finally learning exactly what all those comedians are yammering about?! Silly but fun and actually educational, even. Disclosure: I received a copy of this book to facilitate this review. Adorable. This would be a perfect gift for quite a few friends. Super cute book. Thanks for stopping by my blog. 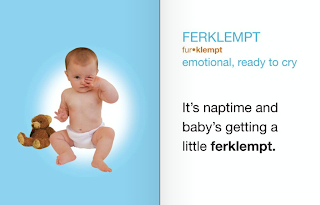 Yiddish for babies! That's awesome! You get the most fun reviews. What a crack up. Ha! That photo cracks me up. I think I'd need Yiddish for adults first.